In the last few years, real estate investing has become increasingly easier for investors at every end of the spectrum. 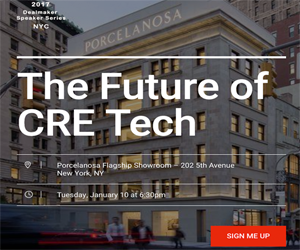 Now, a new real estate tech firm is significantly reducing the amount of effort and time involved in bringing commercial real estate tech investment opportunities to clients. Acquire Real Estate has announced it is utilizing breakthrough technology to create a revolutionary platform. The new platform will provide accredited investors with unrivaled access to exclusive real estate investment opportunities through a new take on crowdfunding known as crowd investing. Using the new platform, real estate advisors will be able to access as well as monitor client investments utilizing a single portal. In the past, it was necessary for advisors to sign in separately to manage individual client accounts, a process that was often time-consuming and burdensome. Thanks to the addition of the new platform, advisors will now be able to manage more clients simultaneously, thus boosting their efficiency. Acquire Real Estate, based in Delray Beach, also recently announced raising $6 million in order to fund continued growth. The real estate firm is one of the newest such startups in the industry, coming on the scene earlier this year after being launched by a consortium of seven partners. Among those partners is CEO Steven Bettinger, who previously managed a hedge fund. Based on the concept of crowdfunding, Acquire Real Estate makes it possible for individual investors to purchase interests in commercial properties. Purchases are made on a deal-by-deal basis. While a plethora of real estate crowdfunding sites has come online in just the last year, one element that sets Acquire Real Estate apart from other such firms is the fact that it also invests in every deal. As a result, even if no one else is interested in an investment, Acquire Real Estate is prepared to own the entire portion of that investment. By targeting cash-flow properties, Acquire Real Estate is able to provide investors with a quarterly dividend. The latest technology is utilized to pay dividends automatically as well as send tax documentation and even provide investors with property status updates. Earlier in the year, Acquire Real Estate also announced the launch of an online exchange that would provide investors with a tool that would allow them to re-sale their equity interests. The innovative tool was billed as a first of its kind and provided investors with liquidity for investments that have previously been restricted to long-term scenarios. Through the use of in-house technology, the entire process of reselling assets becomes completely automated, allowing for a seamless transfer of assets between investors. As real estate technology continues to evolve, the number of options available to advisors and their individual clients has dramatically increased. Acquire Real Estate is working to make it easier for advisors to assist their clients in diversifying their investments in order to mitigate risk and take full advantage of the many opportunities available in the market today. Older PostThe Top 5 Most Influential Real Estate Tech People…Of All Time!